Chair with polished or powdercoated aluminium fixed trestle base, mounted on self-braking castors. 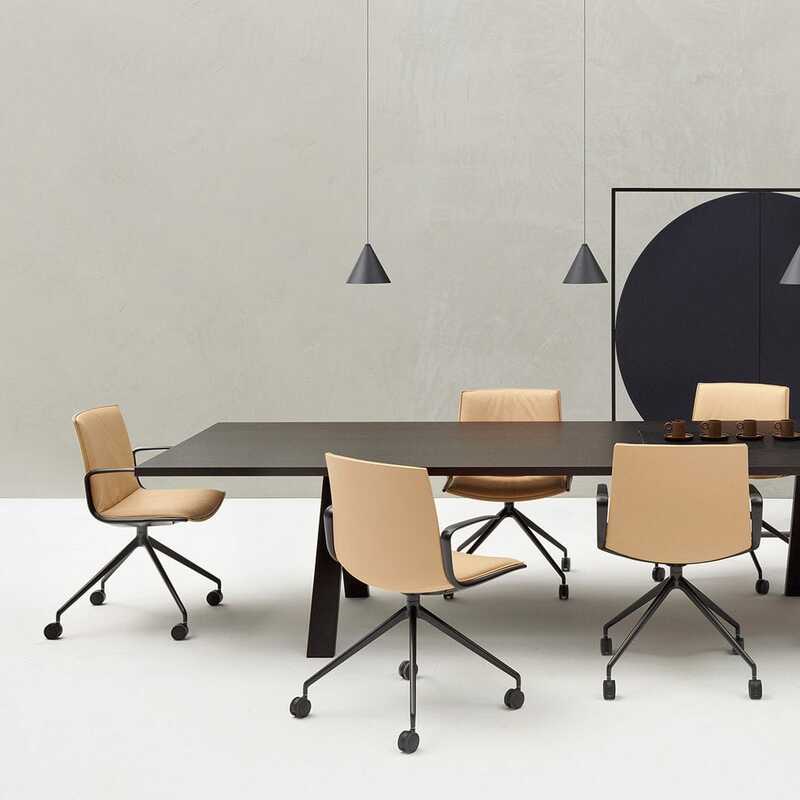 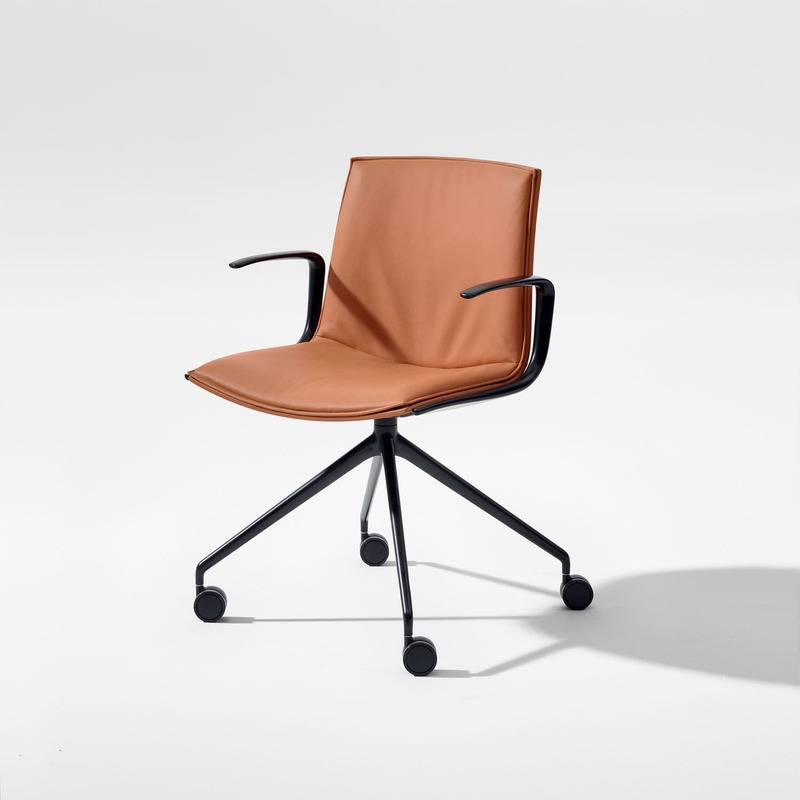 The shell is upholstered in fabric, leather, faux leather, fabric or customer's material. 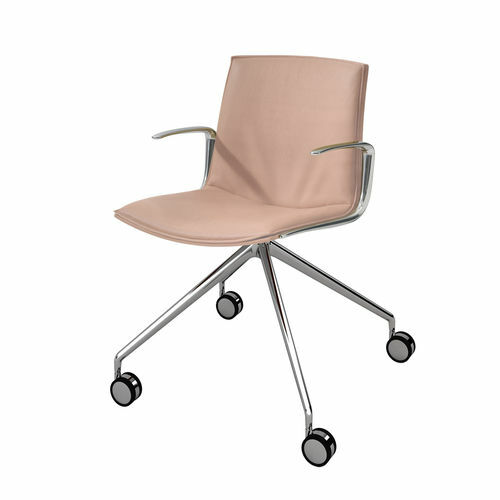 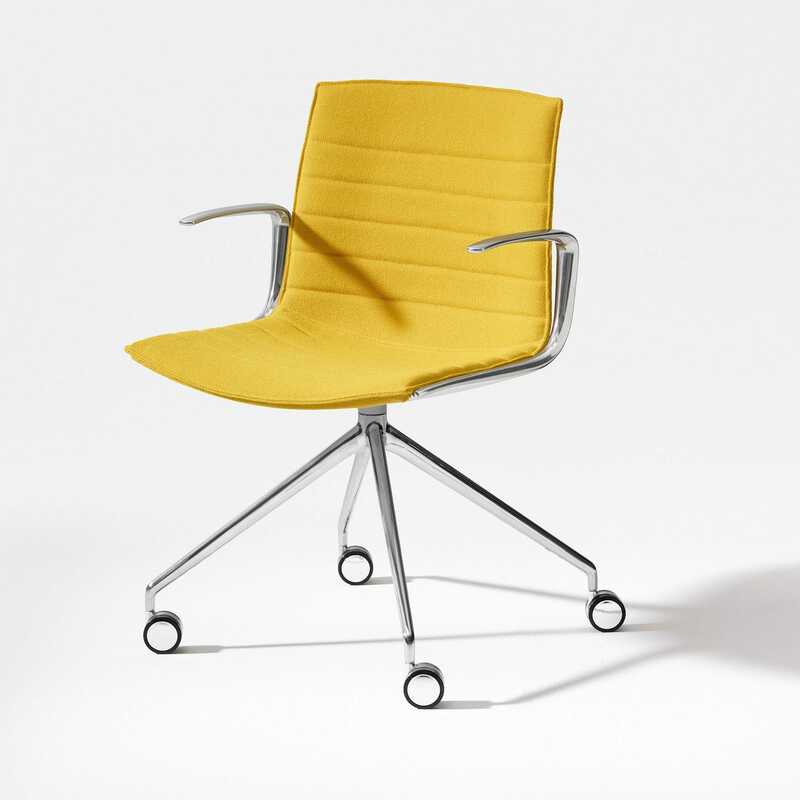 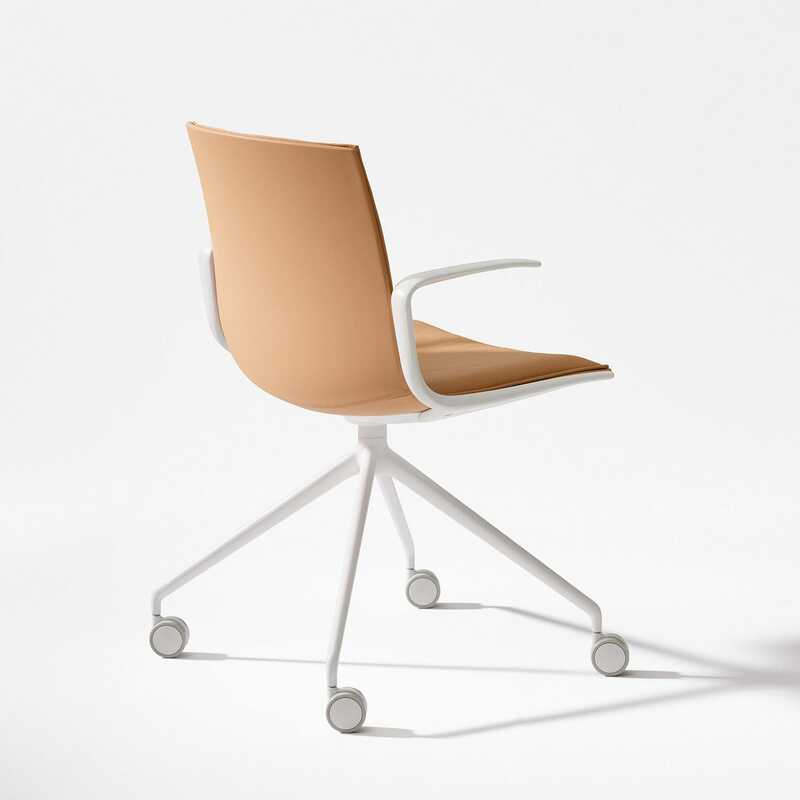 Aluminium armrests are offered in the same finishes of the base.